As PPC marketers, there are certain A/B tests we are always running. Landing page, ad and audience tests are all important. But if you have been regularly testing these items and are looking for new features and ideas for testing, look no further! Below is a list of less obvious PPC tests that you should try out. Smart bidding strategies are a way to incorporate some automation while not relinquishing complete control of your campaigns. Google has a smart bidding type that is perfect for increasing brand awareness: Target Impression Share. Using this smart bidding model, you can choose the amount that your ads will appear in the auction in conjunction with page position and a Maximum CPC you are willing to pay. This bidding strategy works best when you want to increase or stabilize visibility and brand awareness. If your competitors are encroaching on your brand terms, it’s a great time to test IS bidding. If you’re seeing cost per leads that are trending too high and want to decrease the impression share your ads are receiving, you could set the IS at a lower percentage to be less competitive. We ran a test for a client who also wanted to increase leads while decreasing costs by decreasing IS, which we found to be a delicate balance. If you have a new brand that has a core group of highly competitive terms, this could also be a useful bid model, but you’d want to be careful and potentially only test a few core terms to begin. Some advertisers are opposed to competitor campaigns and some are all for it. In today’s landscape, I always recommend at least testing competitor campaigns. Competitor campaigns are a delicate balance, as it can inflate CPCs and ultimately CPAs, but when done right, it can also allow you to gain brand awareness amongst an audience that has shown intent. Head to Auction Insights in the search channels to check out who your biggest competitors are currently. When drafting ads, make sure not to use the competitor’s name in the ads – those ads will get disapproved. Instead, use this as a starting point to highlight your brand, call out what’s different and how you stand out. Starting with a smaller scope can allow you to test the waters before jumping in and potentially spending a great deal on folks who are looking for your competitors. You can start with a limited set of keywords, perhaps long-tail keywords like “chewy.com dog food” instead of just “chewy.com”. Test a limited geographic area. Instead of targeting the entire state of California, try testing 1 DMA (designated market area) to start. Keeping bids low but competitive can also be helpful in long-term success. Feel like you have plateaued with traffic and can’t seem to find additional ways to grow? Dynamic Search Ads (DSA) may be able to help you uncover additional keywords and search trends. DSA has gotten a bad rap in the past. But this campaign type has seen a lot of improvements since its initial release. I always recommend having a page feed in place. This will allow you to have the most control over a campaign that has the potential to wreak havoc. Always make sure to add every search keyword you are bidding on in other campaigns as a negative for DSA. Gathering new keywords that are outside of your current list that match your site content. Or are negating the terms because they are outside of your scope. Using both of these techniques, your DSA may (and most likely will) eventually be producing so little traffic that you pause the campaign. Keep a close eye on queries and traffic – this is not a set-it-and-forget-it campaign type! Google rolled out some cool new features in late 2018 and Bing recently introduced page feeds so both of these channels are a great starting point. If you have killer performance with some keywords and money to test, then give (monitored) broad match keywords a shot! Break your keywords out into their own campaigns so they don’t impede on other match types. As with DSA, don’t leave this campaign to run without supervision. Create a separate negative keyword list that includes negatives you have already identified along with modifiers of long-tail keywords that are included elsewhere in your account. Start with low keyword bids to begin in case things go awry. I would also recommend turning off eCPC, which is the default for new campaigns since Google can now increase eCPC bids as much as it deems necessary to generate a conversion. Set your initial daily budget to be half of what you’re OK with spending during testing. Since Google can double your daily budget so you “don’t miss out on valuable clicks” (I know, I know, it will probably average out – unless you’re just testing and turn it off, in which case you’ll likely be mad at the overspend). There has been a lot of talk about layering In-Market audiences and Custom Affinity audiences into your campaigns for observation. 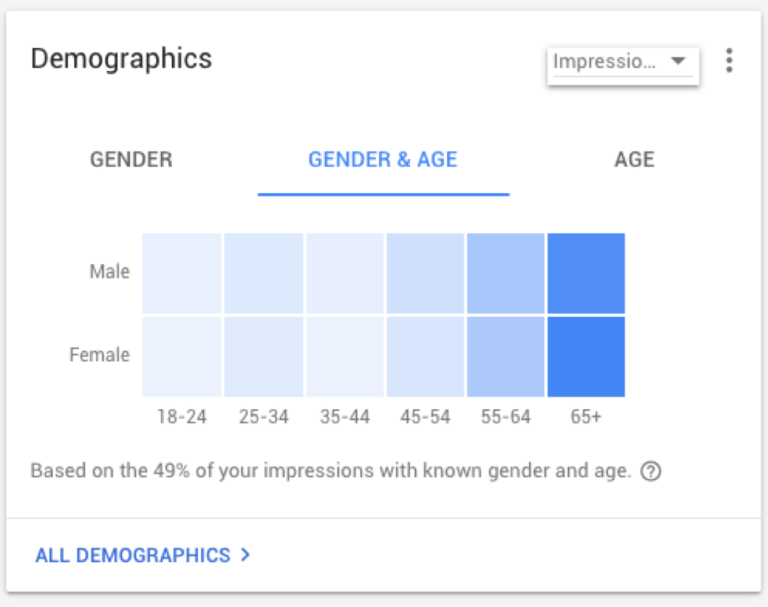 You can take audience targeting one step further and couple it with some basic demographic targeting for a next-level audience test. Run some initial tests on audience targeting and narrow down your desired audience demographics. Make sure to exclude any demographics that you do not want to target. For highly desired demographics, say the 65+ age group, consider setting a bid modifier to bid higher for these users. Targeting a larger audience to start may help prevent traffic from being too low to gather performance data. Keep in mind that targeting and observation layers have different functions and limitations depending on the type of campaign. In order to limit the reach of ad groups in Search to users only in that audience, you’ll need to flip on Targeting. Create a separate campaign or ad group that looks to target your desired criteria separate from your normal search ad groups. Group by audience themes. By making these divisions, it allows you to personalize the ad copy and landing pages without throttling traffic from normal search ad groups. Additionally, when it comes to demographics, I rarely exclude the “unknown” categories. These categories are often some of my best performers, which leads me to believe that there is likely a good chunk of my target audience hanging out in the shadows. It can be easy to get into a testing rut after running many A/B landing page and ad copy tests, but there are a lot of great testing ideas out there!